News is spreading throughout the global community of jazz and improvised music of the death of influential musician and composer Misha Mengelberg who died in Amsterdam today aged 81. A co-founder of the Instant Composer Pool Orchestra, Mengelberg's life is being celebrated at the Sage Gateshead in a month-long photography exhibition which features images from both Dutch and international photographers. Mengelberg's career stretched over many decades and he collaborated with the likes of Derek Bailey, Han Bennink, Peter Brotzmann, Evan Parker and Anthony Braxton. 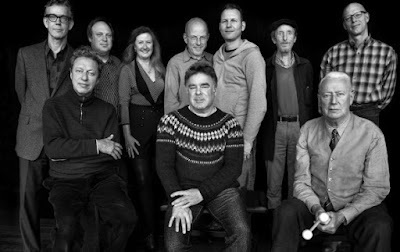 The ICP Orchestra will also perform live at the Sage on April 1st as part of the Gateshead International Jazz Festival. For more information, see Mengelberg's wikipedia page and the Sage Gateshead website.